So I was looking for someone to remove the tints on my car. The usual place where I get my car inspected quoted me $200 for 2 hours worth of time… Yeah saw right through that one. And the waiting area was superb. Despite being in a warehouse, the waiting area was remodeled, furnished, and equipped with a keurig machine and other amenities. Super comfortable. Friendly staff too. I’ve had 3 cars of mine done by Top Edge Window Tinting, and have been very pleased with all of them. 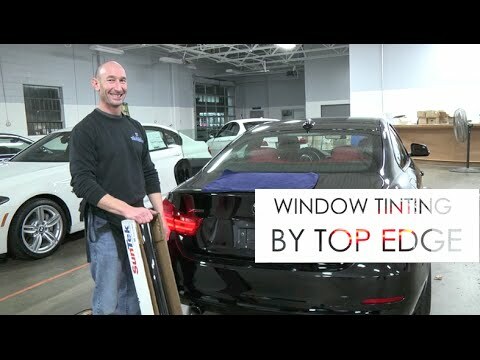 Prior to using Top Edge, I had used quite a few long island window tinting services and never been completely happy with any. However these guys did a fantastic job on my first car, so I had them do my wife’s SUV, and also my new car over the last few years. If you’re looking for good quality window tinting on Long Island, I would suggest giving them a try. Jeff the owner is also a very nice guy and very involved. They’re located in St James (near Smithtown) but do work in all of Long Island and NYC as far as I know. Thank you Top Edge. You made my new Porsche even better. Great work, Great facility, no clean up. These guys have the tint game down! Highly recommend. Thanks again!